ESIM364 is EN 50131-1 Grade 3 Class II certified powerful and very flexible smart home alarm system which communicates using GSM/GPRS, PSTN or LAN with alarm receiving center and/or home owners directly. 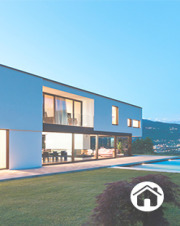 Using schedulers, text messages or free Eldes Security mobile app, users can control security system as well as monitor and switch their connected electrical appliances at their homes. ESIM364 monitors up to 76 (wired + wireless) zones. Communicates with alarm receiving center, using industry standard protocols: up to 6 ARC communication methods– up to 5 Backup communication methods to ARC. 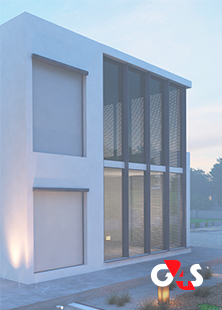 ESIM384 is flexible and powerful hybrid alarm panel which has built-in wireless/GSM/GPRS modules for residential areas up to 300 m². In addition, ESIM384 has home automation features - control of outputs and scheduler with up to 16 different scenarios. During the user experience test sessions our keypad received the highest ease of use rating compared to the other top sellers. Customizable menu makes it easy-to-control alarm system – the way user wants. High quality, fast and responsive touchscreen will meet the needs of the most demanding clients. EWKB4 is a wireless keypad with outstanding battery life of 6 years (one arm/disarm per 24h). Additionally, new generation wireless technology enables to reach breakthrough wireless distance of 3000 m in open spaces. EKB2 is a modern keyboard with LCD intended to use with Eldes alarm systems ESIM364 and ESIM384. They keyfob EWK2 allows to remotely control home at push of button. New Eldes motion sensor EWP3 is a wireless device intended to secure the premises by motion detection. 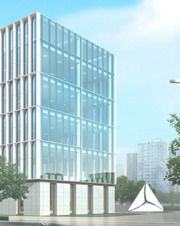 New generation wireless technology enables to reach breakthrough wireless distance of 3000 m in open spaces. Wireless devices battery lifetime increased 2x and reached 36 months operating time. EWD3 – wireless device intended to secure doors, windows or any other opening/closing mechanisms. Detects smoke before it bursts into flame. Interconnectedalarm will notify all premises at once. ET083 is a universal cellular communicator which provides 2G/3G/IP connectivity to any intrusion alarm panel, reporting to alarm receiving centers while simultaneously keeping homeowners informed. Automate and remotely control household equipment. EWS3 is a wireless indoor device (4xAA) with built-in siren speakers and LED indicators operating with Eldes wireless alarm systems. EWS2 is a wireless outdoor device (4xAA) with built-in siren speaker. Upon successful EWS2 binding process, the system adds one wireless zone and one wireless PGM output. 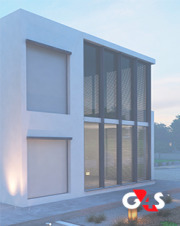 G4S Small Surveillance is a solution for a country house, vacation home, or some other location where the client is not constantly present. The largest bank in Georgia – TBC bank made a decision to connect all of their security systems to monitoring station. But they could not completely change their old security systems to the new ones. In 2012, Georgian President’s team decided to install an energy-efficient system to reduce the consumption of electricity.